Air Liquide Japan has developed a product called “Deliéa”, bringing “Modified Atmosphere Packaging” or MAP technology to households, a multiple-benefit preservation method widely used in the industry. MAP is a common technology to extend shelf life and help preserve the shape of foods. Air Liquide is a global leader in the arena, offering products and services for different foods ranging from meat, fish, fruits, vegetables to dairy products. Advantages of MAP include: no chemical additives are necessary, and no excessive deflation as with vac-packs is required, so aroma and shape of sensitive foods like strawberry and cakes can be maintained. “Deliéa” technology combines the use of a gas injector and a storage bag. Two different solutions, with two types of gases and bags, are available depending on the type of food concerned (meat & fish/vegetables & fruits). 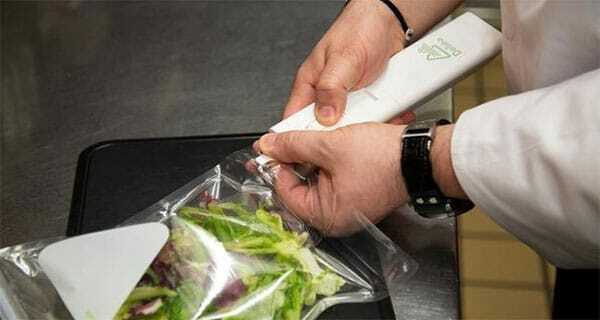 Users place food inside the special storage bag, seal it, connect the hand-held device to the bag and fill it with the appropriate gas mix. Small gas cylinder cartridges are available for easy refill. The gas composition and material selection for storage bag leverages Air Liquide long-time expertise in MAP for the industry. This innovation was inspired by the evolution of consumers’ behaviour, with growing concern over food waste and new lifestyles prompted by the growing number of double-career or single-person households. Deliéa is available through online sale at Makuake.com. Shiro Yahara, President and CEO, Air Liquide Japan, commented: “Air Liquide has been active in Modified Atmosphere Packaging technology from its early stage of development, and gained extensive expertise in Japan and worldwide, through offering service to our customers.